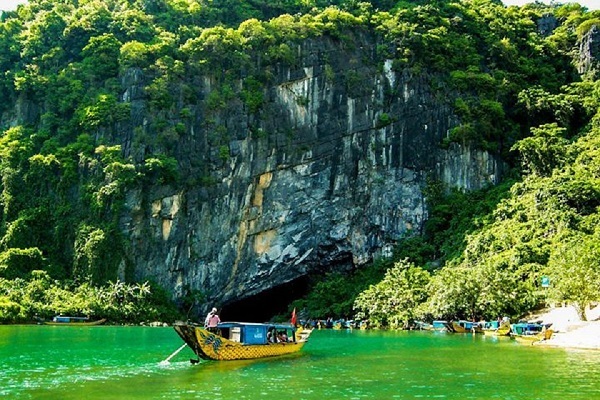 Quang Binh tourism has famous destinations: Ngang pass, Nhat Le beach, Da Nhay beach, especially Phong Nha Ke Bang National Park is a world natural heritage was dubbed "cave kingdom", which contains the hidden great beauty of nature. 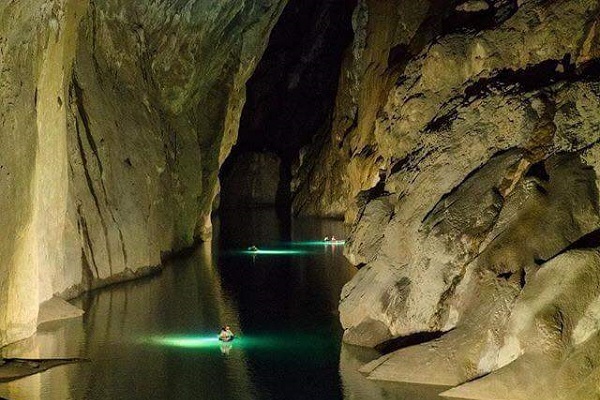 Quang Binh Tourism with Phong Nha Tour - Zipline Chay River, Dark cave in one day is a group tour, depart daily, visitors will have the opportunity to experience the lives of local people. 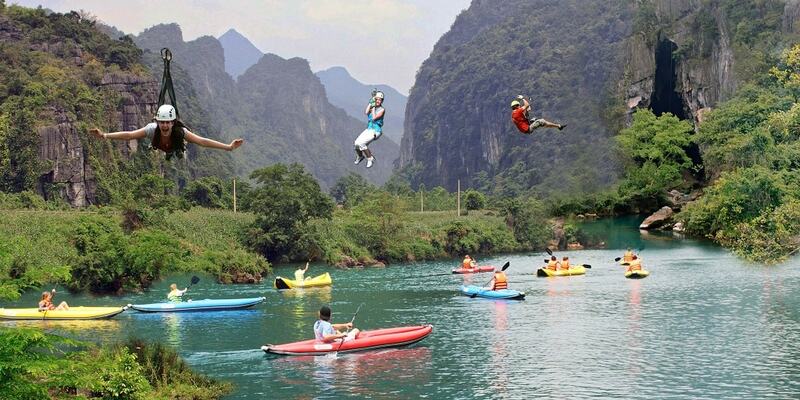 You can enjoy the beauty of Phong Nha Ke Bang National Park, participate in adventure games such as swings, Chay river bathing, rope to the Toi Cave, Kayaking ..., natural mud bathing and explore the beauty of the Dark Cave. 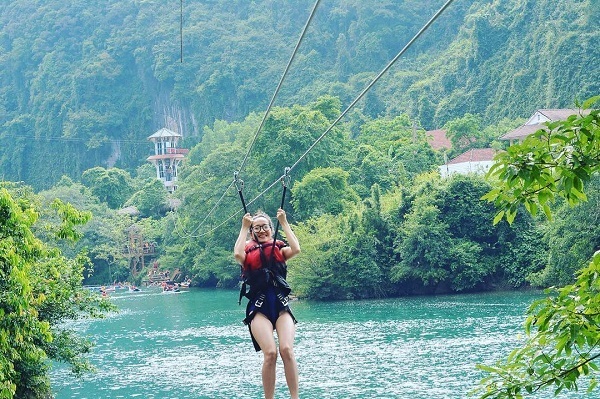 Explore Quang Binh tourism with Thien Duong Cave Tour - Zipline Chay river, Toi cave for one night is a journey to Phong Nha Ke Bang National Park in Quang Binh, the central of Vietnam. This is the fifth legacy of our country, which is recognized as World Natural Heritage by Unesco. 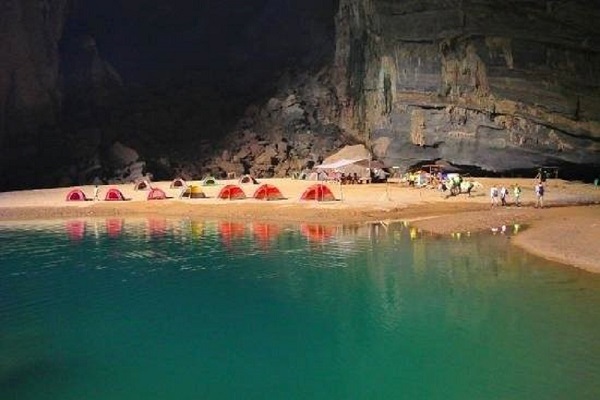 Visiting this land, visitors can admire the mysterious caves at Thien Duong cave, bottomless lake, or explore Chay River - Toi cave and join the natural mud bath. 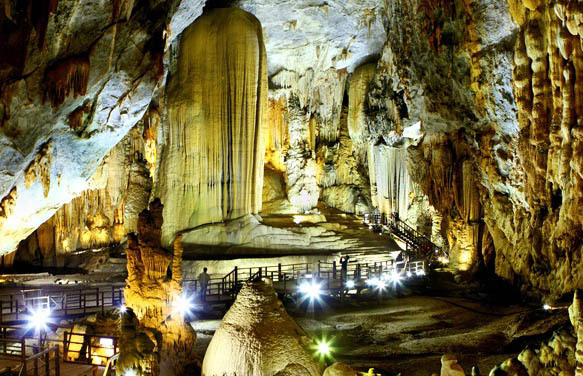 Beside these tourist attractions, you can also visit En cave, Son Doong cave. Thien Duong cave was discovered in 2005, the Royal Caves Association of England determined that the cave has a total length of 31 kilometers. They named this cave as Thien Duong cave (it means Heaven in English) because of its great beauty. Vung Chua - is located in Tho Son village, Quang Trach district, Quang Binh province. It is 3 kilometers from National Highway A and 6 kilometers from Ngang Pass. This place is quite new to visitors. With natural beauty, pristine harmony between mountains, forests and the sea is an endless source of inspiration for poets. Clear sea, long sandy beach. It also has many fishing boats with many fresh seafood. We will pick you up at Dong Hoi, then depart for visiting Thien Duong cave. 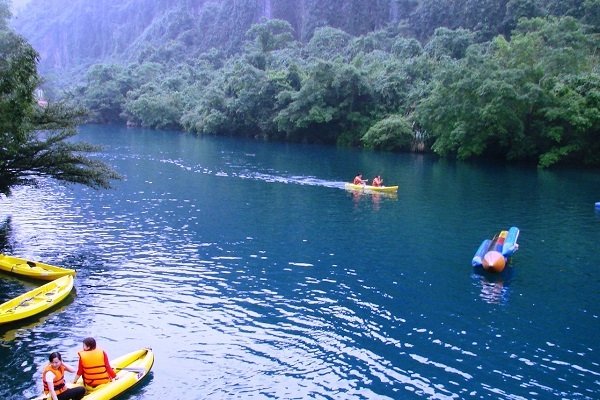 You will admire the sceneries with a mysterious beauty in the tourist Land of Quang Binh. 4500 meters Phong Nha cave – Xuyen Son Ho Tour is a trekking experience tour. 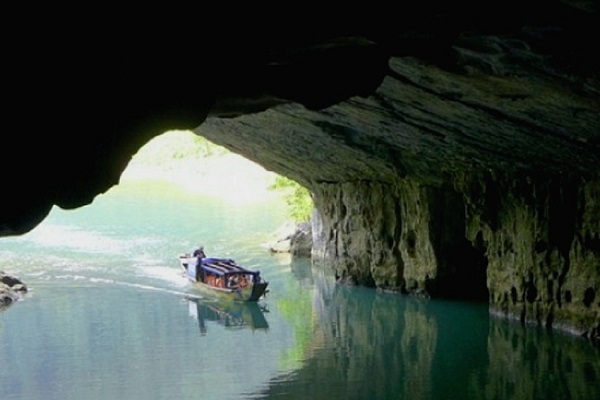 The underground river is 9 kilometers long, with 6 hours on boat, you can explore Phong Nha cave. 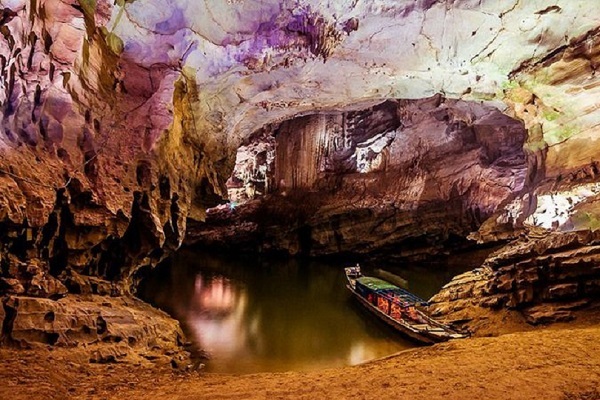 The 300 square meters “Ho Khong Day" is a part of the Phong Nha underground river. 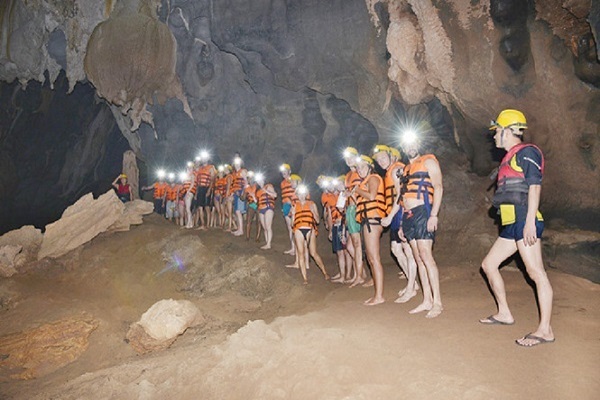 You will receive a certificate of discovery Xuyen Son Ho and successfully conquer 4.5 kilometers underground river in Phong Nha cave after the ending tour. Contemplate the natural beauty of Nuoc Mooc stream. Visitors can having hammock next to the stream and listen to birds singing, or swimming in the stream. Here, you can go swimming, Kayaking, fishing and enjoy the famous local foods. 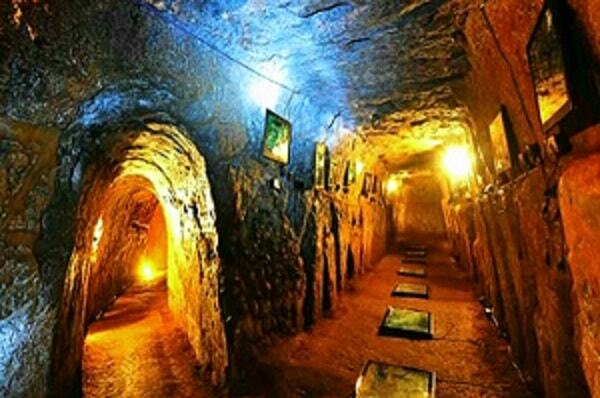 Come to Quang Binh "discover the cave kingdom" tour, visitors will become a real cave explorer with great experience. Phong Nha Ke Bang National Park is formed from limestone mountains with hundreds of big and small caves, Thien Duong Cave also belongs to Phong Nha cave system with its mysterious beauty. Go to Vung Chua, you will burn incense at General Vo Nguyen Giap grave and admire the natural scenery of Ngang Pass. Book Quang Binh tour right away to have the best price. 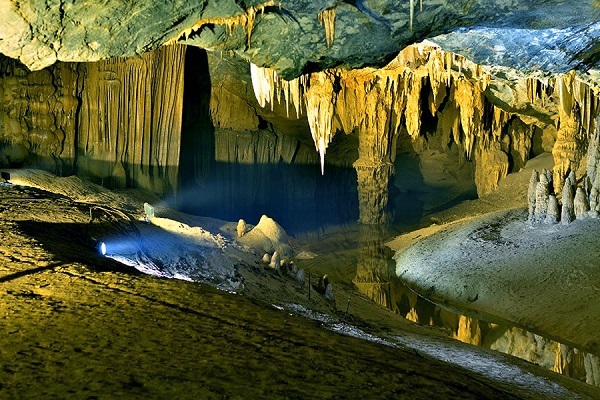 Rao Thuong - En cave is a natural tourist attraction that is extremely famous in Phong Nha Ke Bang with primeval forest. 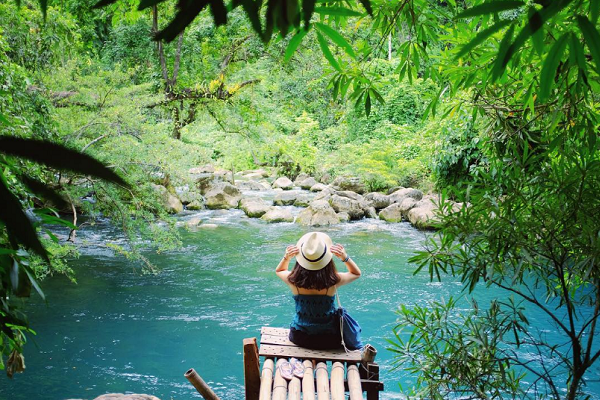 En cave with thousands of swallows, swirling green streams and unforgettable jungle nights. You will walk through the primeval forest of Phong Nha Ke Bang, to the Son Doong village where ethnic minorities settle to discover the wild beauty of En cave. 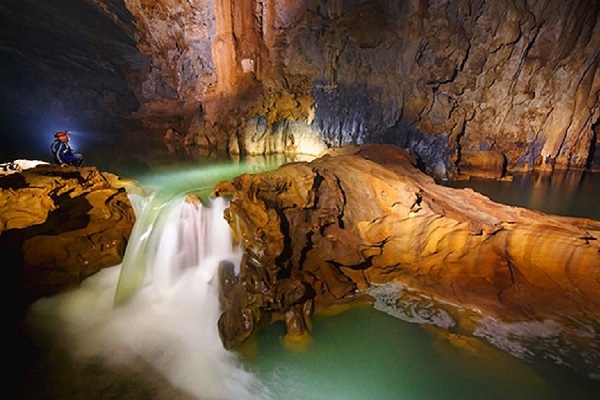 Quang Binh tourism: Thien Duong cave, Nuoc Mooc stream is a attractive destination for Visitors. 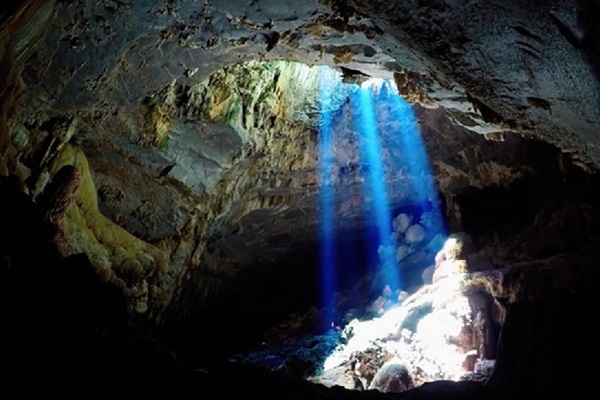 Come to Quang Binh 2 days 1 night Tour to Thien Duong cave, you will have chance to see the stunning beauty, which is different from Phong Nha cave. At Mooc river, you will see the romantic Chay river surrounded by the forest air. Book Quang Binh 2 days 1 night Tour right away! Son Doong Cave Expedition 4D3N - More than 25 support staff, security experts and guides will take you deep into the jungle, starting the journey to conquer the Son Doong Cave. You will have the opportunity to fully explore Son Doong Hang, En cave and visit villages of ethnic minorities - Son Doong village. 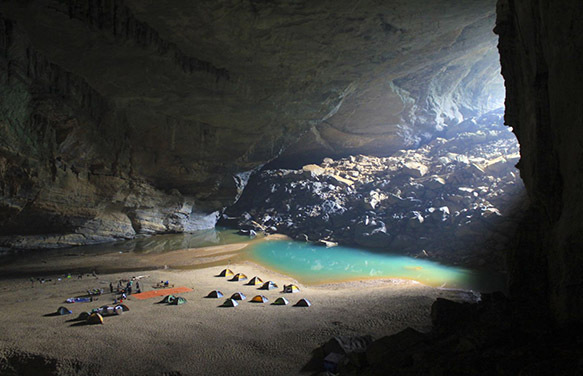 En cave is the third largest in the world after Son Doong and Deer Cave in Malaysia. There is a total length of 1.6 kilometers including 3 gates. In the heart of the cave is a stream leads to Son Doong. From En cave, visitors go about 2 kilometers more to get to Son Doong cave. Quang Binh Travel 2018 you will go to the spiritual center to bridge the famous year in Quang Binh such as Ngang Pass, Lieu Hanh holy temple, Dai Giac Pagoda, Truong Son Martyrs Memorial Temple Long Dai ferry ... Vung Chua - Dao Yen. Quang Bình travel 2018 besides spiritual places, visitors also have many options to visit here such as Phong Nha cave, Heavenly cave ..... is the world natural heritage was named. is the "cave kingdom". In Phong Nha Ke Bang there is a system of about 300 large caves in Quang Binh. 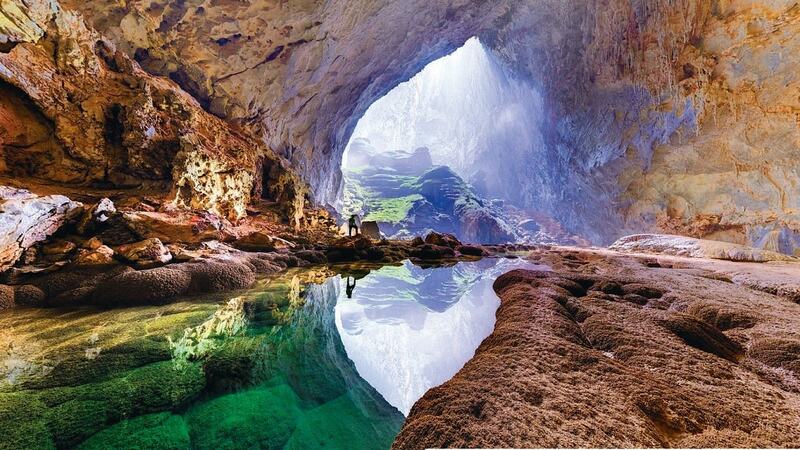 In addition, there is Son Doong cave, this cave is also located in Phong Nha Ke Bang cave complex. Vinh Moc tunnel is an epitome of an ancient castle in the heart of the red clay hill, a vaulted structure that consists of several branches connected through the main axis. The tunnel has 13 doors, supported by columns, wood and camouflaged quite secretly, all the doors are in the direction of the wind, ensuring ventilation function for the tunnel. Exploring Tu Lan Cave within 1 day in the forest with beautiful limestone karst. This is place that the Hollywood Kong blockbuster was filmed: Skull Island - Jordan Vogt-Roberts. 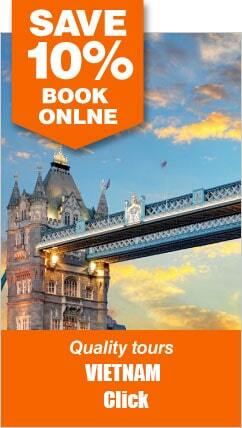 Tourists will be accompanied by professional tour guides and porters who are experienced and enthusiastic. 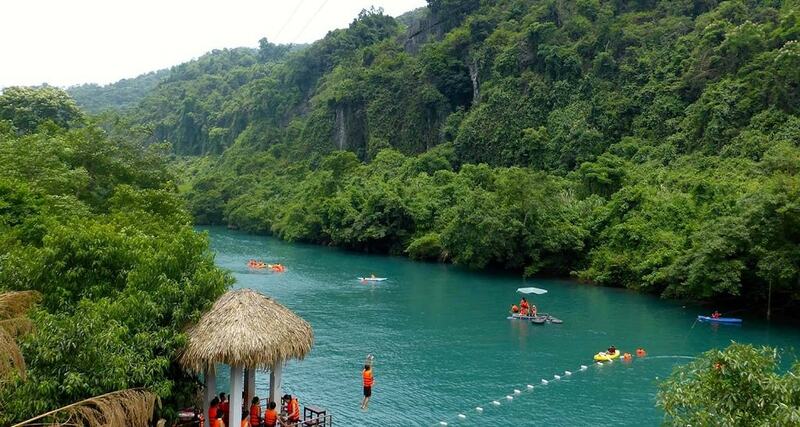 You will cross the jungle, fields, cross the river, climb up the slope until reaching the green river to enjoy the majestic space of the mountains. 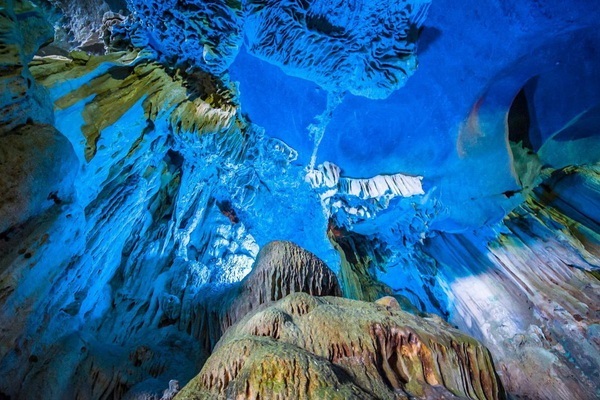 Visitors have chance to observe the beautiful nature of caves like Hang Chuot. 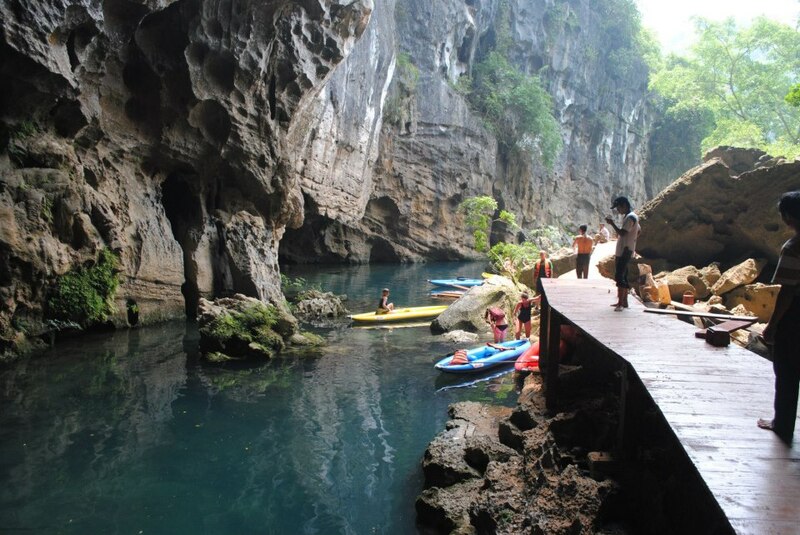 With Hung Ton cave, you will have to wear a safety belt to climb down the stairs about 15 meters to explore Wind cave, then swim through the underground 50 meters river to get to To Mo valley. Although you will get wet and dirty during the journey, it gives you the feeling of enjoying a barbeque party in the beautiful natural surroundings. Then come back to rest at Tan Hoa office. You can wash, change clothes here and return to Phong Nha before it gets dark. 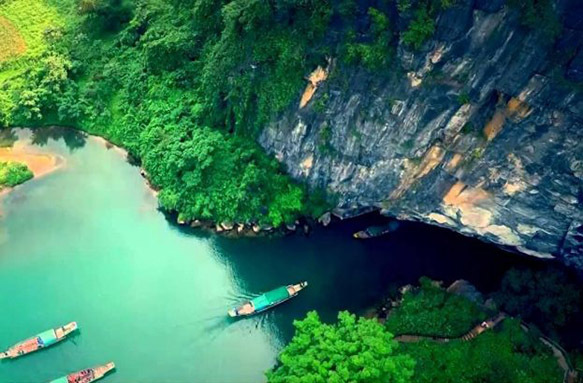 Quang Binh – Quang Tri Tour: This is an interesting trip for visiting the Middle of Vietnam, with some nice places such as: Phong Nha Ke Bang, Vinh Moc Tunnel, Quang Tri Citadel.